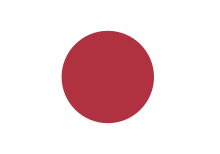 Japan competed at the 1988 Summer Olympics in Seoul, Korea. 255 competitors, 186 men and 69 women, took part in 166 events in 23 sports. In their fourth Olympic archery competition, Japan was unable to win any medals. Defending bronze medallist Hiroshi Yamamoto placed eighth, the only individual archer to make the finals. The men's team placed sixth overall, while the women's team was last place. Twelve cyclists, nine men and three women, represented Japan in 1988. Ten fencers, five men and five women, represented Japan in 1988. Three male pentathletes represented Japan in 1988. Three synchronized swimmers represented Japan in 1988. ^ "Japan at the 1988 Summer Games". sports-reference.com. Archived from the original on 2011-06-30. Retrieved 2011-07-23. This page was last edited on 3 February 2019, at 22:35 (UTC).